These instructions are intended solely for clients using our mail services. 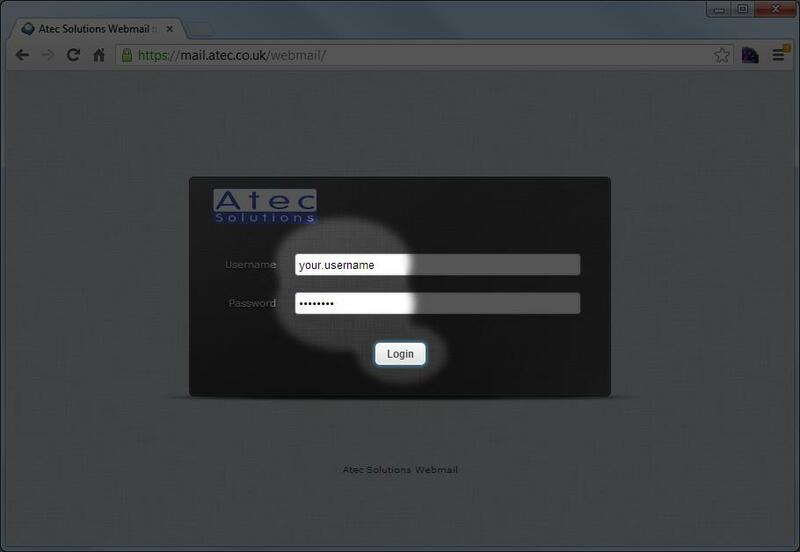 Enter your username and password as provided. Filters are arranged in sets. Only one set can be active at any time, but can contain many rules. 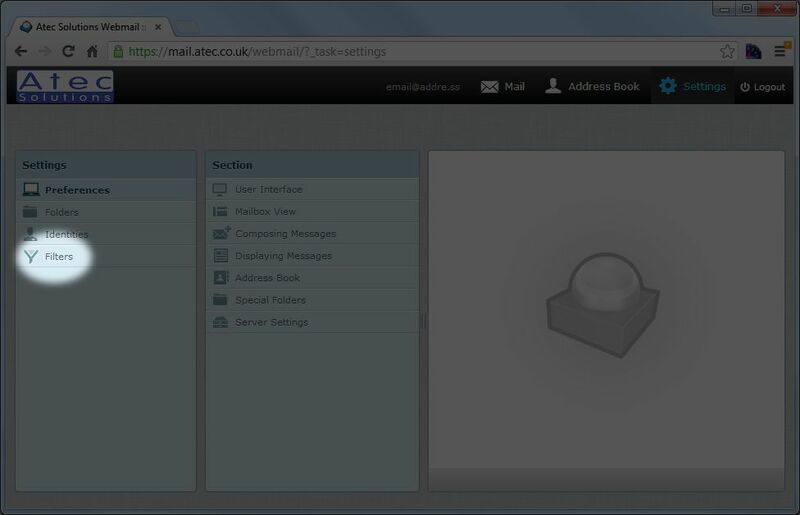 We have supplied a template for you to use; inactive/disabled by default. 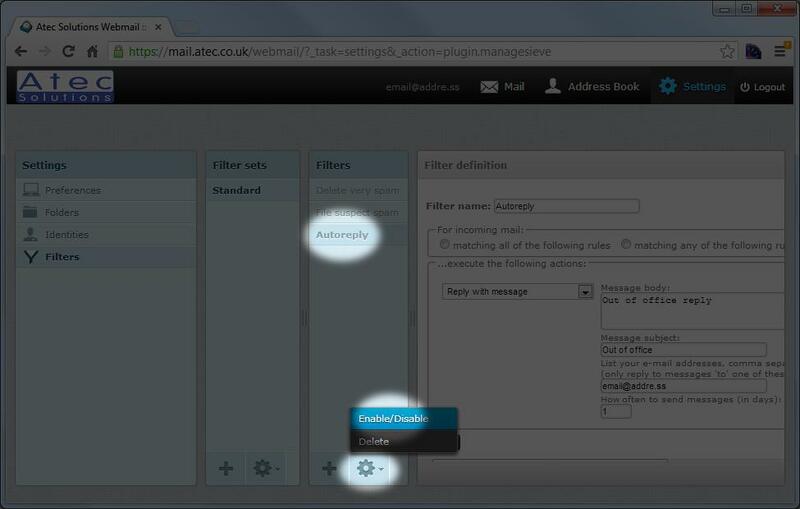 Click on the appropriate set, click on the gear item at the bottom of the list and select 'Enable/Disable'. 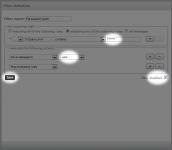 When a set is active, it is listed in black; inactive sets are shown in grey. Our default template includes 3 rules; all disabled by default. 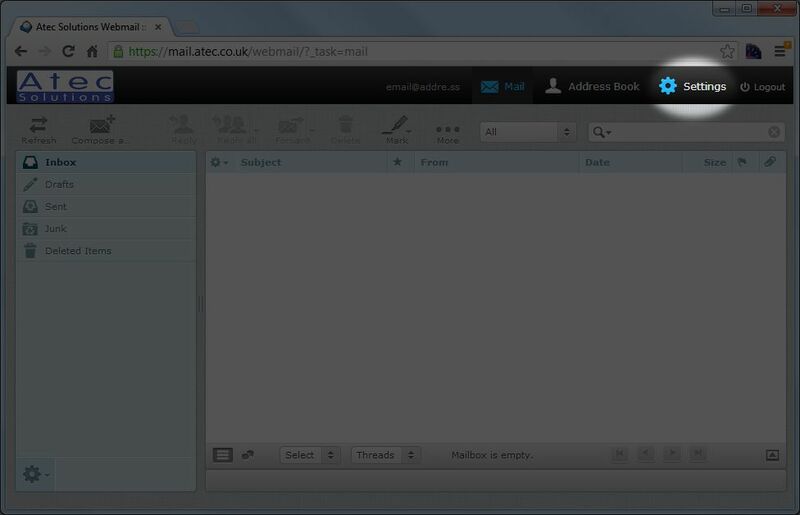 Note that moving messages to folders will only be effective with webmail or IMAP access. Accessing mail using POP will only retrieve messages in the inbox folder. The order of filter rules is important; as an example using our default rules, messages which score 12 are both greater than 10 and greater than 7, so if the 'File suspect spam' rule was first, 'Delete very spam' would never be invoked. It is also important that any spam processing is performed before Autoreply - we don't want to reply to spam messages. Filter rules can be rearranged by dragging them up or down the list. The spam filtering rules can be adjusted to work on higher/lower scores by adjusting the number of asterisks in the 'X-Spam-Level->contains->' box. 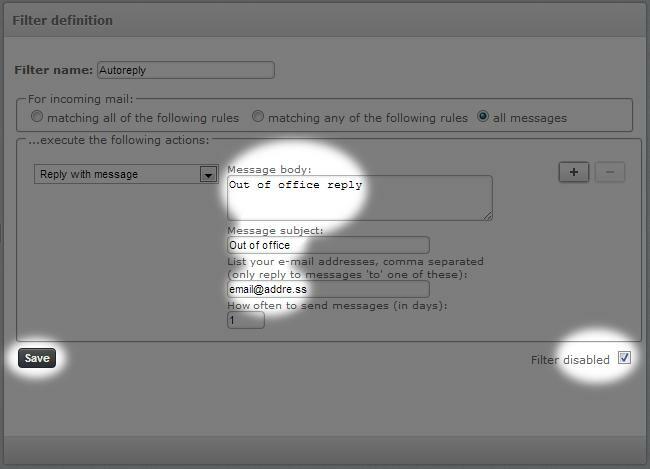 The Autoreply fields should be reasonably self explanatory; the only exception being the 'List your e-mail addresses' box... the autoresponder will only reply to emails which are specifically 'To' you - avoiding replying to mailing lists etc; this field allows you to define which addresses you want it to respond to. 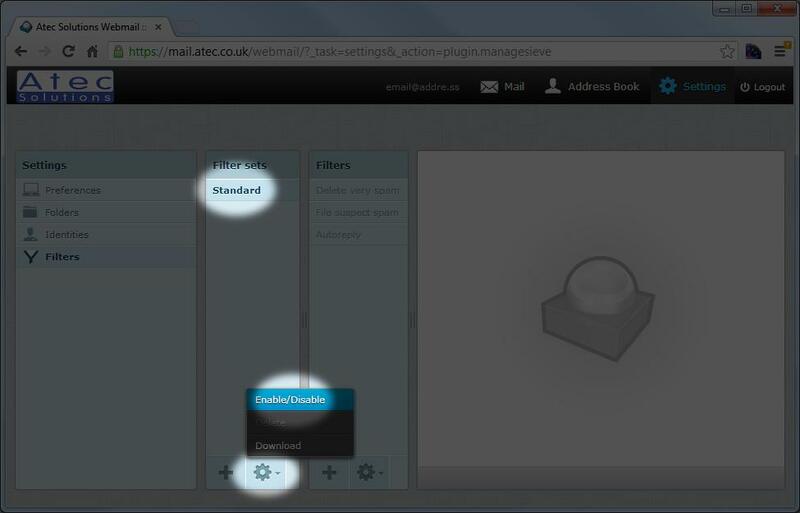 It will default to including each of the addresses from your webmail identities.